It would be interesting to find out if the control module for a PDK Turbo is different from the NA PDK? Speak to Ryan at Suncoast. They have done many of these retrofits. Incidentally he told me my conversion wouldn't work as they had issues trying to get the 2007 Turbo (Manual) to take the Gen.2 wheel. However ask them if they have completed any Tip 997 Turbos with that wheel. It may be an issue that can be overcome. Also ask about the control module, if the NA one is the same as the Turbo one on PDK cars. That's twice i've tried contacting Suncoast with no reply. think i'll give up on them now. That's extremely unusual. I always get a reply. Don't tell them you're in the UK. There is a general email as well, you can get it from their website. Did you ever get this working on your 997.1 Turbo tip? I’ve got all the parts coming (991 wheel, airbag, 997.2 module) and a little concerned that I’m not going to be able to get it to work. 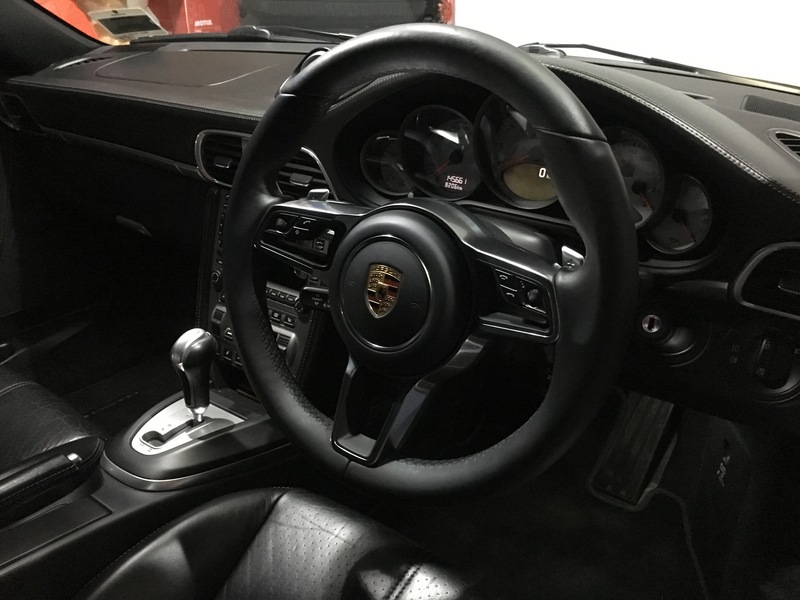 Have seen lots of posts from guys in the USA running this setup on tiptronic Turbos however? And maybe a call to ES in Milton Keynes? Thanks for that. There’s a great guide on Planet9 that includes the module swap (which is needed for a tip to get the paddles working). More concerned that there is potentially an issue for UK/RHD Turbo tips as there doesn’t seem to be anyone that’s installed one and got it working (at least that I can find). Did this mod a couple of years ago on my 2007 turbo tip RHD. Thanks for the confirmation, is much appreciated. My wheel & airbag are currently sitting in customs waiting for clearance from a specialist assessor, but will hopefully be cleared today, if so I should have it all fitted this week. I can confirm that this works in a RHD 997.1 Turbo (delivered in the UK in Dec 2006).